Grace is to Christianity what relativity is to physics. You could say that grace is the quantum physics of theology. 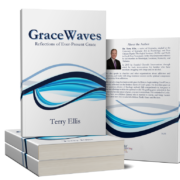 Grace governs every aspect of the way God works, but very few people understand it. I want to be clear, I do not profess to understand grace, but I know that grace is the only way to explain anything about God. It is the only way to relate to Him, to draw close to Him. In fact, it is the only way to draw close to one another. We cannot possibly tolerate one another without grace, and we certainly cannot love and forgive one another without grace. So while I do not claim to understand grace I have a glimpse of what it is, and that vision has filled my heart and soul. My greatest desire is learn about grace and share those lessons.